Vegan JUST Egg is launching at US chain Bareburger - in both a burger and a wrap - in all the eatery's 34 US outlets. The product, which is made from mung beans, was created to 'to scramble and taste just like eggs' - but with a lower environmental footprint. JUST Egg is available in a sandwich called 'The Wake-Up Call' featuring a Beyond Meat quarter pounder, American cheese, mayo, and 'vrioche'. It is also available in the 'Get On Up' wrap, which includes JUST Egg, American cheese, home fries, guacamole, black bean salsa, baby spinach and organic garlic aioli in a flour tortilla. 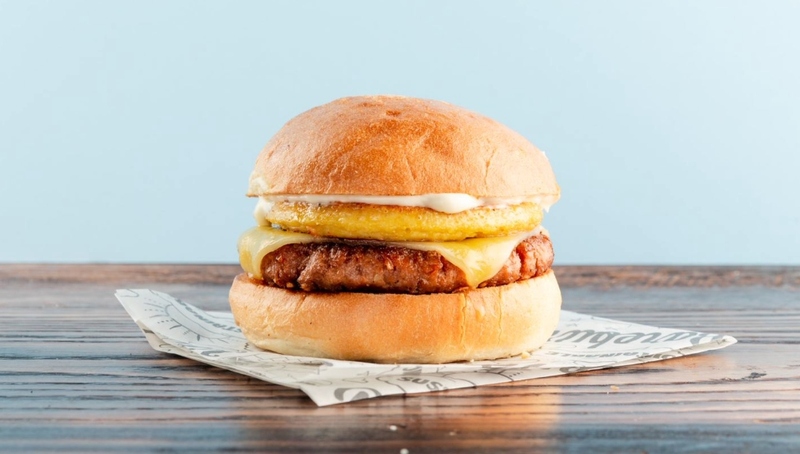 "We're always on the lookout for innovative, sustainable but above all delicious foods like JUST Egg to enhance our offerings," Euripides Pelekanos, CEO and Co-founder of Bareburger, said in a statement sent to Plant Based News. "Vegan options at Bareburger are never an afterthought; we strive to create forward-thinking plant-based dishes without sacrificing flavor. Simply put, we always want to do what feels right for our company and our guests." "Bareburger is leading the way in creating the food system of the future – one that is sustainable, healthier and most importantly, insanely delicious," added Josh Tetrick, Co-founder and CEO of JUST. "They represent the kind of restaurant that we founded this company to partner with and I'm excited to try Bareburger’s JUST Egg dishes next time I'm at one of their many locations." Last year, top vegan bloggers Toni Okamoto of Plant Based On A Budget, and Michelle Cehn of World of Vegan teamed-up to review vegan JUST Egg for Plant Based News. The pair cooked the product - a liquid which should be poured into a warm pan, before scrambling it - before tasting it. "It looks exactly like eggs. That is crazy - and the color - the color is spot on. I'm so in awe of this," Cehn added.